Education - Free Training Programme - December 2016. Education - Free Training Programme - November 2016. Regional Agency for Development and European integration Belgrade Ltd, is organizing in November a set of trainings aimed at developing professional competencies and potential of existing SMEs and entrepreneurs. Education - Free Training Programme - October 2016. Regional Agency for Development and European integration Belgrade Ltd, is organizing in October a set of trainings aimed at developing professional competencies and potential of existing SMEs and entrepreneurs. Education - Free Training Programme - September 2016. Regional Agency for Development and European integration Belgrade Ltd, is organizing in September a set of trainings aimed at developing professional competencies and potential of existing SMEs and entrepreneurs. Education - Free Training Programme - August 2016. Education - Free Training Programme - May 2016. 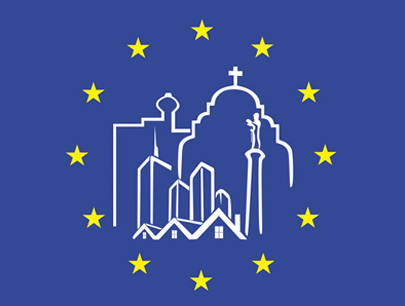 Regional Agency for Development and European integration Belgrade Ltd, in cooperation with the Secretariat for the Economy of the City of Belgrade, is organizing a set of trainings aimed at developing professional competencies and potential of existing SMEs and entrepreneurs. Workshop "Achieving Goal with Knowledge"
In accordance with the adopted Action Plan for Employment of City of Belgrade for 2016, the Council for Employment implemented in cooperation with the National Employment Service, Belgrade Chamber of Commerce, the Regional Agency for Development and European Integration of Belgrade, City Center for Social Entrepreneurship Belgrade, Fund for development, the Agency for export insurance and financing of Serbia, education through organized workshop to as many interested citizens provide free elementary knowledge on the subject of starting a own business. Regional Agency for Development and European Integration of Belgrade started the implementation of training for the preparation and writing EU projects. The training is intended for representatives of the City of Belgrade, public enterprises and public utilities.